In our continuing effort to remember our classmates and honor their lives, we are including notices that become available to us. Your help will be greatly appreciated, please contact us with additional and new information. Updated July 8, 2011. Jim lived his life showing others kindness, patience, respect, and a type of generosity that is seldom found in people today. He always helped others no matter the circumstances and he was a good friend and a wonderful father. Most of his adult years were spent working in real estate and property management in Northern California. He owned a property management company in Campbell, California and gave countless volunteer hours to community organizations such as the Campbell Chamber of Commerce. He was a strong believer in building community and was instrumental in the organizing of numerous community events. Jim was very creative and he was a mechanical genius. He enjoyed this aspect of his personality and was found often working on cars, remodeling houses, or sketching out new ideas. He took jobs using this expertise in the electronics industry working on molecular probes during the birth of the Silicon Valley. In 1997, after several trips to Oregon and admiring the beauty of the Pacific Northwest, he and his wife bought a vineyard and moved to Eugene, Oregon. He worked tirelessly to learn about wine grape growing and to develop a reputation for his vineyard. He gave many volunteer hours to grower groups and the development of sustainable agriculture in the Oregon wine industry. His vineyard became one of the first certified sustainable vineyards in the United States with a reputation for exceptional Pinot noir. He lived his dream of having a beautiful farm in a beautiful place with fruit and wines that are sought after. Thank you for your work on this website and your kindness. Peter Grey Callaghan of Darien died Wednesday Jan. 17, after a long battle with multiple myeloma. He was 64. A graduate of American University, Mr. Callaghan had a 40-year career in the automobile industry. He retired in August 2006 as the owner and president of Greenwich BMW. Mr. Callaghan was a member of the Stamford and the New York yacht clubs. He was a Sea Scout and served as a lieutenant in the Army National Guard. Mr. Callaghan was a professional driver in the IMSA and SCCA clubs, racing from 1968 through 1974. He won the Area 11 Championship in 1970 and finished third in the Nationals in 1972. He was an active sailboat racer in Hawaii from the late 1970s through early 1980s, racing throughout all of the Hawaiian Islands, also racing the Clipper Cup series. After racing his Swan 46 in the northeast during the 1990s, he transitioned back into his automobile racing career. After locating and restoring his original 1974 Porsche RSR in 2000, Mr. Callaghan took first place at Lime Rock in the HSR series. In 2002, he won the SVRA Championship. In 2003, he won the "Workers Choice Award" in Lime Rock and also placed second. He was a member of the SCCA, HSR and the Porsche Club of America. Mr. Callaghan is survived by his wife of 23 years, Barbara Geruso Callaghan; a nephew and several cousins. A private service will be held by the family. A memorial service will be planned for a future date. For more information, visiti www.lawrencefuneralhome.com . In lieu of flowers, memorial contributions may be sent to The Dana Farber Cancer Institute, c/o Dr. Paul Richardson, MM, 44 Binney St., Boston, MA 02115. Courtesy of The Darien News, Darien, Connecticut. Mrs. Beatrice Anderson, 63, of South Orange, who served as assistant to several Star-Ledger executives over an 18-year career, died January 2, 2007. Mrs. Anderson served as administrative assistant to Donald E. Newhouse, president of The Star-Ledger/Advance Publications Inc. late publisher Martin Bartner, and most recently, Mark Newhouse, Star-Ledger general manager. Born Beatrice Bynum, she was raised in Montclair, where her father, William T. Bynum, owned Bynum Memorial Home on Bloomfield Avenue. The business made her parents and their children well-known around town. Mrs. Anderson attended Hlenfield School and Montclair High School, then attended Central State University in Ohio and, later, Seton Hall University. She worked for Hoffman-La Roche Inc. for 11 years, and later worked at Exxon offices in New York City and Florham Park before joining The Star-Ledger in 1988. In 1994, she was among the recipients of YMCA’s Black Achiever of Business and Education award. In addition to her son and sister, Mrs. Anderson is survived by three grandchildren. Courtesy Worrall Community Newspapers, Inc.
Judith M. Slade, avid sportswoman. Judith M. (Messer) Slade, 64, of West Dennis died April 8. She was the wife of Elliott Slade. Born in Morristown, N.J., she grew up in Montclair and York Harbor, Maine. She graduated from Montclair High School, and attended the University of North Carolina Women's College in Greensboro, and the University of Grenoble in France, completing her degree at Bridgewater State Teachers College. She was an avid sportswoman, and loved to garden and travel. She was a member of West Dennis Yacht Club, and a congregant of Union Church, Dennis. Besides her husband, she leaves a sister, Suzy Abuza of Mystic, Conn.; two brothers, Alan Messer of Ottawa Hills, Ohio, and David Messer of Cabarete, Dominican Republic; nieces and nephews; stepchildren; many grandnieces and grandnephews; and many step-grandchildren. A memorial service will be held at 11 a.m., Saturday, May 19 at First Congregational Church, 329 Main St., Yarmouth Port. Memorial donations may be made to Breast Cancer Research at the Dana-Farber Medical Center in Boston. Inventory control clerk, 65 James Christopher 'Chris' Reese, 65, of Orange entered into eternal rest on Saturday, Sept. 20, 2008. Funeral services will be at 11 a.m. Saturday, Sept. 27, from Woody ''Home for Services,'' 163 Oakwood Ave., Orange, where the family will receive relatives and friends from 6 to 9 p.m. on Friday evening. 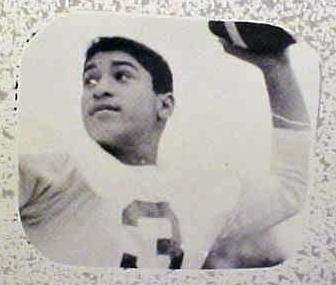 Born June 9, 1943, in Montclair, Mr. Reese was the first African-American quarterback at Montclair High School. He graduated from the University of Dayton in Ohio. He was an inventory control clerk for the Motor Club of America. Mr. Reese was the beloved husband of the late Gwynn; loving father of Thomas C. Bewley; caring stepfather of Michael Reed and his wife, Dorlinda, William, Cheryl and Deidra Bewely; dear son of Thomas Reese; adored brother of Thomas Jr., Patricia and Priscilla Reese. He is also survived by other relatives and friends. We have no obituary, only that Adam passed away on July 27, 2007. Just received this from another classmate. Navy vet of the Cuban Crisis, 64 Joseph William Caggiano, 64, born and raised in Montclair, passed away at home in Sugarloaf Key, Fla., on Feb. 4 2009, after a short battle with cancer. A celebration of his life will be held in Sugarloaf Key Florida at the Sugarloaf Lodge on March 14, 2009. The following day, his ashes will be scattered over the Gulf of Mexico. Joe received a B.A. 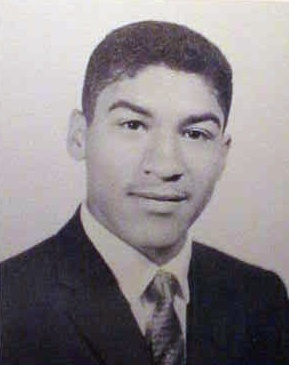 in accounting from Fairleigh Dickinson University and served in the U.S. Navy aboard the USS Enterprise during the Cuban Missile Crisis. He and his family spent five years in St. Croix in the U.S. Virgin Islands and then in Kuwait for several years before settling in The Woodlands, Texas. He was chairman of the Natural Gas Training and Education Association in Houston for 20 years before retiring to the Florida Keys. Joe was predeceased in death by his mother, Ellen (Donlon) Caggiano; his father, Dr. Anthony P. Caggiano Sr.; and his sister, Ellen Caggiano Brennan. He is survived by his wife of 42 years, Kerry (Kirvin); son, Scott of Houston; daughter, Kim Caggiano of Key West, Fla.; grandchildren, Sean, Alannah, Connor and Deirdre, all of Houston; his brother, Dr. Anthony P. Caggiano Jr. of Montclair, and sister, Annamarie Caggiano Zambri, Kansas City, Mo. In lieu of flowers please send donations in Joe's memory to Hospice Care of Southeast Florida, Inc. Key West Branch at 90218 Overses Highway, Tavernier, FL 33070. Linda Taylor Barnes, 68, of West Lafayette, Indiana, died on Sunday afternoon, July 3, 2011, at her home following a fourteen month battle with brain cancer. Born June 17, 1943, in New York City, she was the daughter of Turney Allan Taylor and Lois Dwight Cole. She married Virgil Barnes on December 19, 1970, in New York City. 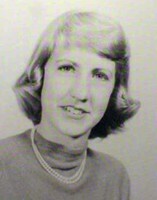 Linda attended Bradford Junior College and Wheaton College in Massachusetts. She worked in New York City in publishing, and, briefly, in motion pictures at Palomar Productions. She was an editorial assistant at the publishing houses Atheneum and Farrar Strauss and Giroux, and was managing editor of Harpers Magazine Press. After marrying, she moved to West Lafayette. During her early years here she was a member of Theatre Arts, a women’s group dedicated to performing plays for children. She was for many years president of the West Lafayette White Sharks age-group swim club. She was a board member of the Tippecanoe County Chamber Music Society and the Wabash Trust for Historic Preservation, as well as a member of the Parlor Club and the Monday Club. She published two historical romance novels under the nom de plume “Lisa Beaumont” and was working on other novels, as well as on a book based on correspondence from a long friendship between her mother and Margaret Mitchell (author of “Gone With the Wind”). Linda’s parents were introduced to each other in Atlanta by Mitchell. Linda’s mother, Lois Cole, was an editor at MacMillan & Co. and was the key agent in their acquisition of “Gone With the Wind”. She is survived by her husband and three sons, Chris Barnes of Mountain View, Calif., Jeff Barnes of Maplewood, New Jersey, and Dan Barnes of Washington, D.C.; her brother T. Allan Taylor of Los Angeles, Calif.; and by granddaughter Taylor and grandsons Thomas and Ryan. There will be a memorial service at a later date to be announced. Sad news - Linda died Sunday, July 3. Linda is one of the few people from MHS that I've stayed in touch with. She was my college room mate, my maid of honor, and a hugely wonderful friend since we were 15. I've known about her struggle with glioblastoma since it started 14 months ago, and have kept my breath held and my fingers crossed, hoping against the inevitable. We were able to correspond until several months ago, and then, alas, the roller coaster really took off. Linda was still dining socially last Tuesday; still the dessert gourmand on Thursday; entered formal hospice at home Friday afternoon, and breathed her last in my arms Sunday afternoon. Glioblastoma can be swift and terrible. It's been a long hard fight, but she was in the game and enjoying it to a degree until almost the very last. The void she leaves in our lives is vast. The Lord Jesus Christ called Suzee to a new spiritual life at the age of eleven, and after a struggle with pancreatic cancer, on July 16, 2009 called her home at the age of sixty-six to be with Him. Born in Upper Montclair, NJ, as Suzanne Ward Stevens, she spent many summers in Spring Lake, NJ. 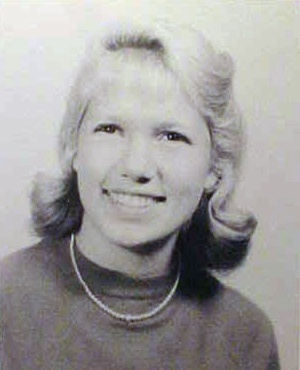 After graduating from BeaverCollege (now ArcadiaUniversity) in 1965, in 1966 she was married to William F. Metzger (Will), a campus minister at Philadelphia area colleges and the University of Delaware. She was a resident of Newark, DE since 1974, a member of the Evangelical Presbyterian Church (PCA) in Newark, and now a member of Berea Presbyterian Church (PCA) in Hockessin. Suzee’s God-given gifts were used in ministering to University students, especially Internationals, by hospitality, godly counsel, insights into relationships and suffering. Her fun-loving, outgoing, joyful nature, coupled with sensitivity and kindness to friends as well as acquaintances, endeared her to many. A bright smile, laugh, and sparkling eyes encouraged others and made her fun to be with. An ability to nurture was evident in raising two sons, and maintaining long-term spiritually based friendships with women via the Proverbs 31 Club and the Agape Girls group. Experiencing various physical difficulties over many years led to educating herself in traditional and alternative medicines and treatments, and the ability to advise others whose needs touched her. Exuberant when viewing God’s awesome creation, she responded in worship and a desire to capture the beauty of light and color in her paintings and photos. Her husband, Will, shall greatly miss her love for him which developed through hard times, partnership in living and spreading the gospel of sovereign grace, and her reflection of Christ in her roles as wife, mother, and grandmother of six. Suzanne’s family includes: Will, her husband of 43 years, and sons, Scott C. Metzger and wife Kelli, with four children: Sierra, Andrew, Stephanie, Henry; Todd J. Metzger and wife Rachel, with two children: Abigail and Caleb. Her sister is Mimi Stevens and children Molly Stevens, Brian Arffman, and Sandra Seeger with children Corey and Tyler. Her brother is David Stevens who, with his former wife Connie, have three children: daughter Kelli and husband Michael Woodstock with their daughter, Austyn; daughter Staci and husband Josh Thomas, and son Michael Stevens. David Stevens’ wife, Jennifer, and her three daughters, Jacque, Nici, Alex. Will’s brother, John Metzger and wife Shirley, daughters Susan and Jane. Our expressions of gratitude are given for the practical support by the staff of Compassionate Care Hospice, and for the prayers and help by many friends in local churches, our neighborhood, and others from our 44 years of campus ministry. In place of flowers, tax deductible donations designated Suzanne Metzger Memorial may be sent to either: Children’s Jubilee Fund, for providing scholarships to enable inner city children to attend Christian schools, at P.O. Box 27709, Philadelphia, PA19118, or to World Harvest Mission, 101 West Ave., Suite 305, Jenkintown, PA19046. Condolences will be received at http://caringbridge.org/visit/suzee click on guestbook. A Memorial Service to celebrate the life of Suzanne Metzger, and to worship the God who conquered death, will be led by Rev. J. R. Reap on Saturday August 1, 2009 at 10:30 a.m. at the Evangelical Presbyterian Church of Newark, 308 Possum Park Road, Newark, DE19711. Directions: www.epcnewark.org or mapquest/google. The service has been planned to include time celebrating our Lord through scripture, prayer, song and remembrance of Suzee. The service is planned for 2 hours, followed by food served at the church. If you are able to join the family for a full meal you are welcome, or food is available for a quick buffet to serve yourself. We hope that as many as possible will be able to stay and spend time with family and friends.